When Craig and I got married, he was 45, I was 35 . . . and our families were respectively relieved, having long since given up on either of us tying the knot. While we each have redeeming qualities — I’m a decent cook and (at least at that time) was/am reasonably easy on the eyes in the right light, he’s indisputibly the kindest and smartest man I know — we also have our quirks and challenges. Not the least being, we had a long history of singleness. Shortly after we were married, my writer friend Kay Strom had us over to her lovely home in Santa Barbara, and talked with me about her book for couples married later in life, Hand in Hand. Talking and laughing, sipping a leisurely cocktail, we summed up the single most important characteristic of “later-in-life love” (or any love, I suppose): the ability to persevere in love even when. Fast forward ten years or so. Ironically, we’re discovering that the same stick-to-it-iveness that got us through those first bumpy years of married life, has come in handy for parenthood. It’s the dirty little secret not many parents allow themselves to own: sometimes loving our children doesn’t feel so warm and sweet. Sometimes it hurts. A lot. Like hugging a cactus . . . with itching powder on the tips. Ironically, the pricklier they are, the more they need the love. Note: Tomorrow’s link is found on the main page — I’ll post again January 4! 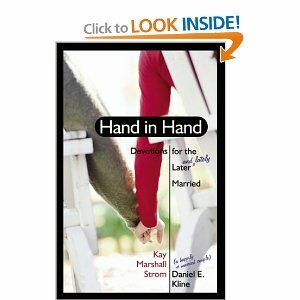 This entry was posted in family life, The Love Project and tagged Hand in Hand, Kay Strom, The Love Project by heidihesssaxton. Bookmark the permalink.